Nearly three years after the Merchant Customer Exchange (MCX) was founded in August 2012, several U.S. retailers and restaurants belonging to the consortium will begin publicly testing their Apple Pay rival CurrentC in Columbus, Ohio over the coming weeks, according to The Wall Street Journal. CurrentC is a mobile payments solution that requires scanning a QR code with a smartphone for contactless payment from a checking account, gift card or private label debit or credit card. The service does not currently accept major bank-issued credit cards such as Visa or MasterCard as retailers look to avoid costly fees. Public testing of CurrentC is set to begin just as MCX's three-year exclusivity window expires this week, allowing retailers to explore other mobile payment solutions. Yesterday, MCX member Rite Aid reversed course and will begin accepting Apple Pay and Google Wallet on August 15, in addition to Android Pay when available. Best Buy, a founding member of MCX, also began accepting Apple Pay for in-app purchases in April and announced that full Apple Pay support is coming to Best Buy stores in the U.S. later in 2015. 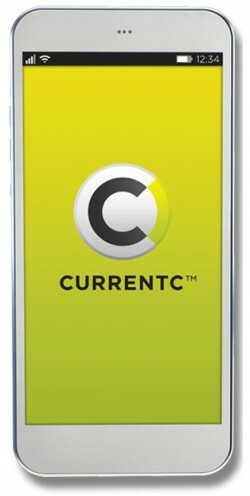 The electronics retailer will be monitoring CurrentC's limited trial run but has not confirmed that it will be implementing the platform in stores. Other MCX members include 7-Eleven, Alon Brands, CVS, Darden Restaurants, HMSHost, Hy-Vee, Lowe's, Michaels, Publix, Sears, Shell, Sunoco, Target and Walmart, some of which have confirmed plans to launch CurrentC in the future. Other retailers remain in the process of exploring contactless payment solutions or installing the necessary infrastructure to support smartphone-based transactions. Update 7:10 AM: MCX CEO Brian Mooney tells Re/code that CurrentC may not see a broad launch until 2016, depending on how the early testing in Ohio proceeds. Retailers must know this is DOA right? Go home CurrentC, you're drunk. I can't wait to see my parents' faces when this app asks for their banking routing and checking number, social security (for full benefits), and request to follow their location... all before using the app. This. Won't. Work. I say gone by January 1. So, why not allow ApplePay (and others) in the same stores as CurrentC? It either wins people over with a better offer/better service or it loses. Blocking other options almost says right away they know they have an uphill battle. Direct access to my bank account is just so not going to happen. How the heck did it take them three years to start testing? Sounds like it was a Kickstarter campaign or something. It's hard to imagine this gaining much ground. However, it seems that the fees of Visa and MasterCard are too high. Is there a good argument for saying that government regulation should restrict their fees, as they have an uncompetitive monopoly? How is this uncompetitive and how is this a monopoly? Charging via a debit or credit card is one of the many ways (cash, check, money order, ACH, etc.) to pay for goods and services in the US. Therefore, it's inherently competitive. Not only that, but Apple Pay, Google Wallet, and others have successfully broken into the payment market and there currently exists multiple payment processing companies. To say the market is uncompetitive is just false. It may have a high barrier of entry, true, but uncompetitive it is not. As for a monopoly, again, paying by card is not an exclusive option or a right. Visa and MasterCard are two completely different companies - if it were an '-opoly' of any kind (which it's not) it certainly wouldn't be a 'mon'. These companies are offering a service and I think they should be compensated for establishing an easy-to-use and ubiquitous payment network. If the market thinks that the transaction fees for credit card services are too high, then it will make an alternative. The single failure of CurrentC is not a signature of the market being uncompetitive or monopolistic, they just had crappy marketing on top of a crappy idea. Can't really blame retailers for trying to get around credit cards fees (guess who has to pay for all those rewards you're earning). But this will probably fail, as others have pointed out. So, I have to provide these people with my bank routing and account information? Then to use it, I have to open an app and scan a code; after which, I can make a payment, allowing the retailer to make more profit, while giving up any loyalty points/miles I might earn as well as fraud protections provided by my credit card company?